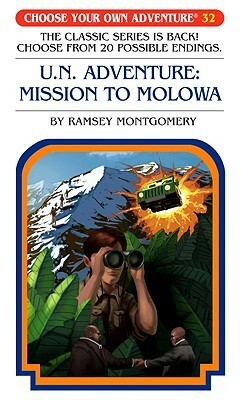 R.A. Montgomery - Raymond A. Montgomery (born 1936 in Connecticut) was an author and progenitor of the classic Choose Your Own Adventure interactive children's book series, which ran from 1979 to 2003. Montgomery graduated from Williams College and went to graduate school at Yale University and New York University (NYU). He devoted his life to teaching and education.In 2004, he co-founded the Chooseco publishing company alongside his wife, fellow author/publisher Shannon Gilligan, with the goal of reviving the CYOA series with new novels and reissued editions of the classics.He continued to write and publish until his death in 2014.